This big and bold 5 stone diamond wedding band features round diamonds that each weigh 0.30 carats, totaling over one and a half carats over 14k white gold! 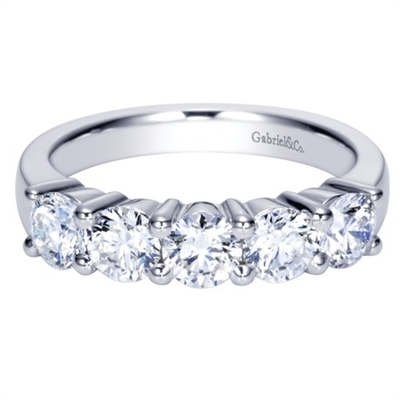 This large and in charge round diamond wedding band features 5 round diamonds, each weighing 0.30 carats for a total diamond weight of 1.50 carats! 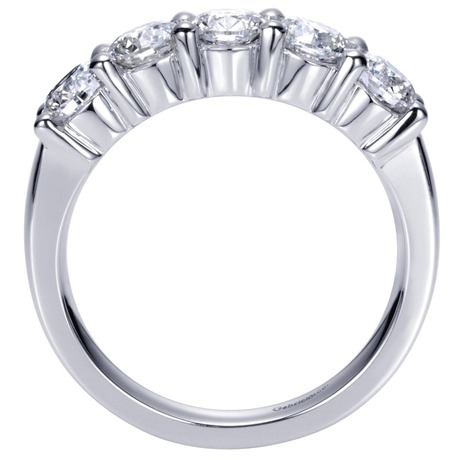 This wedding ring's shimmer will last a lifetime!